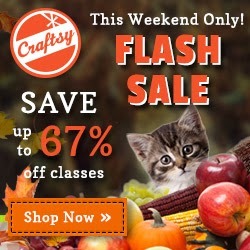 Home / Uncategorized / Craftsy is having a flash sale this weekend! And you can find it here until Sunday at midnight! Previous post: Craftsy giveaways: two winners and one more try! Next post: It’s here! Color Essentials!